The time has finally come. After two days of Persona related announcements, Atlus has finally released a full trailer for Persona 5, giving more of an idea on what the plot is — and who the main character is, along with the beginning of your team. So, we’ve got the main character looking to be a thief of some sort, and he and his friends are going around wearing their cute little masks, fighting against what they believe is keeping them down. I have to admit, this wasn’t a place that I expected the series to go, and yet, here we are. 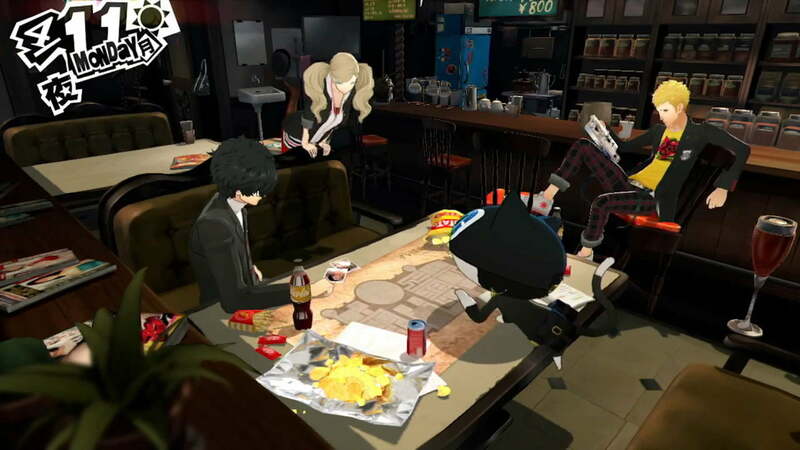 With him are his two friends: a blonde boy, suspected to be the best friend, named Ryuuji Sakamoto (坂本竜司), a girl from the main character’s class, Anzu Takamaki (高巻杏), and a cat named Morgana. What’s most exciting is the new aspects that appear to be in the game. Not only do we have that typical, dungeon crawler that we’re used to from the Persona series — but we also are getting an entire system of sneaking around in the dungeon, which interests me immensely. 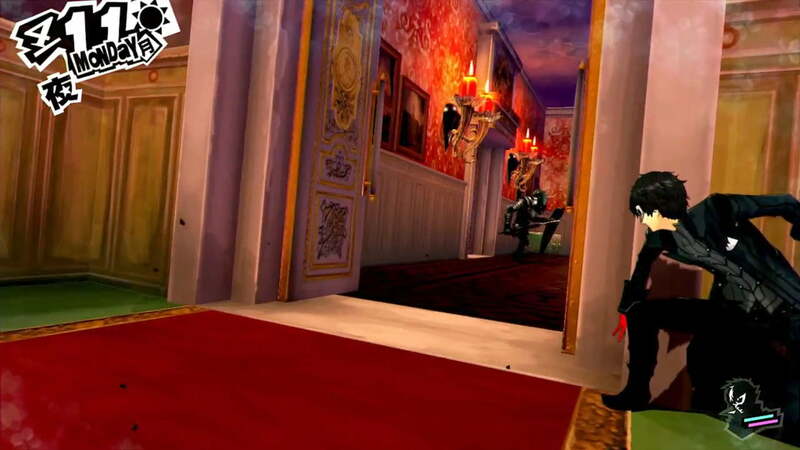 With it, we also have the ability to jump around on chandeliers, and interact with the environment, which is very different from the last two entries in the series. And, on top of that, we appear to be able to switch from guns to melee weapons and back, something that is exciting, but also makes sense considering the game so far. Following the debut, the director and producer Katsura Hashino ended up on Weekly Famitsu giving an interview. It’s been a while since we’ve heard anything new. How’s development coming along? Hashino: Things are really coming along and we’re starting to hit our quality benchmarks in terms of what goes into the game, so at this stage, we’re hard at work building the game and fleshing it out. We’re just as eager to bring this game out finally so they can enjoy what all we’ve been working on and day by day, we’re getting closer to the finish line. It’s just going to be a little while longer now before it’s here. During our last interview, I remember you talking about how you wanted this game to depict things like the cathartic feelings that come from freeing yourself of your own chains in life and being ale to yell out to the world you’re free. Now that we know more about the game, I’d like to ask you to elucidate about the themes of the game again. Hashino: I don’t think it’s a stretch to say in this day and age that there are a lot of people out there who feel like they aren’t moving forward, that they have no future, and carry a lot of weight on their shoulders every day. They’re stuck between a rock and a hard place, emotionally speaking; on the one hand, they might not be keen on living by the same rules and values that defined previous generations, while still lacking the will to go out and actually break those barriers down themselves. 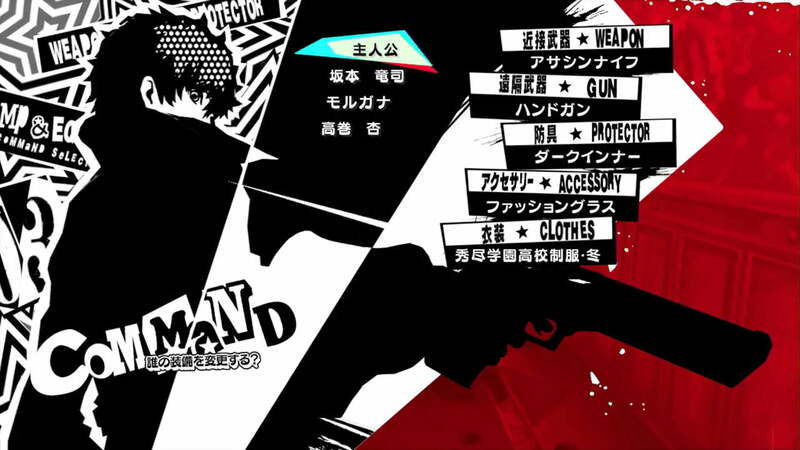 That dark side of society is a central pillar to the game we want to make with Persona 5. In the midst of all that, though, you got these high school punks who are trying to bite back at a world that’s trying to pin them down. If our game can give people a little courage to keep going in their day to day lives, to face things head on and do something with themselves, then we’ll have done our jobs here. But the main characters… are they thieves!? Hashino: It’s interesting you refer to them in that way specifically because one of the things that inspired us to make this question to begin with was how, say, a classic, iconic thief in the vein of Lupin III might win the hearts and minds of people in today’s day and age if they were out running around today. There have been a lot of books and films over the years that explored the sorts of lives that thieves live and how they’re able to shake up the world with what many would perceive to be sheer brazenness, but that’s not ground that’s very well covered in games and we intend to rectify that. We want our players to be able to empathize with these characters and enjoy seeing what they get themselves into and we’re giving it everything we’ve got to make sure that comes through loud and clear in the final game. This was the message that Hashino himself gave on the Persona Channel, following the release of the trailer. Good evening, everyone. This is Hashino from the Persona Team. It’s been a long time coming, but we’ve finally started showing you some proper footage from Persona 5. What do you make of it so far? The trailer hasn’t been put out yet as I write this, so, to be honest, I’m actually feeling a little on edge about how people will react to it. If we get people to stand up and take notice, especially in terms of the overt thievery and what we’re paying homage to, then we’re on the right track. As long as there’s something that gets everyone even just a little existing, I’ll be content. In a nutshell, if I were trying to explain what this game is trying to evoke, I’d say it’s like if you took something like a picaresque novel and then threw in, for lack of a better word, realistic, down to earth “academy juveniles.” In previous Persona games, the stories revolved around pretty traditional heroes going after villains that most anyone one would be loath to associate themselves with; they pursued the bad guys for the sake of justice, essentially. This time around, though, the protagonists of Persona 5 themselves are on the run for doing what they think is right after something happens completely out of the blue. That mixture of thrills and not-so-larger-than-life cast of characters is what composes the idea of “academy juveniles” for us. We think that these characters that are going to be a little rougher around the edges than those who have come before them in the series, coupled with the strides we’ve made in visual and sound design we can pull off something really special here. Even more so than before, I feel like we’re pouring our hearts into this game. As an Atlus game, we try to make games that stand out amongst the crowd, but put in another light, individuality of that sort isn’t always a blessing per se. It can mean diverging from what’s normal, break from the rules, project the image of trouble, especially when applied to people. But to us, individuality in people isn’t purely good or bad; rather it’s something that has the power to change how people think and act when they’re touched by it. We might live in a world that’s less than accommodating to a lot of us and hard to live in. But so long as people don’t give up on reaching out to one another, the individuality that shines both at the individual level and from groups as a whole can help us break through that feeling of oppression and feel free. This is a game we really want to walk the walk and we hope from the bottom of our hearts that it’ll leave a mark on people after it’s all said and done. So, what do you think? Is Persona 5 looking to be what you anticipated, or are you upset with the way it’s turning out? Avery lives in New York, where he spends most of his time locked in his room, playing games. If you want to talk to him, you can try throwing a rock through his window with a note attached. Maybe he'll pause his game.